Salesforce.com is among the most powerful CRM applications available. It is very powerful, scalable, and customizable. We can help you maximize your productivity and customer engagement using Workflows, Email Alerts, Apex Triggers, Visualforce Pages, and the Salesforce1 App. We are Salesforce Certified Developers and Administrators so you can trust us to do it right the first time. Watch the priority numbers change as you re-order the list. 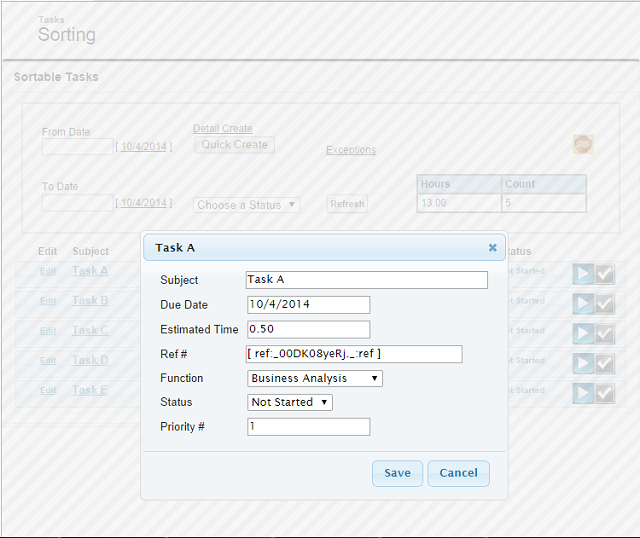 Change the owner of the task or case and sort each list by priority. 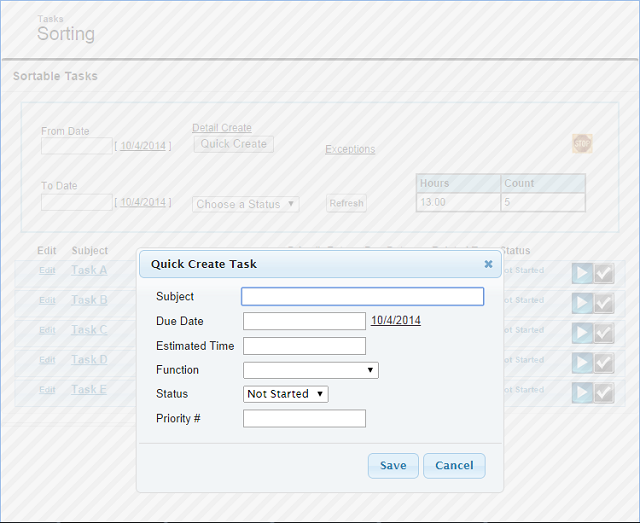 User can sort tasks, create new tasks, edit tasks, mark a task complete, clock into tasks, and clock out for the day. Using this pop-up, the user can quickly create a new task and return to the task portal. 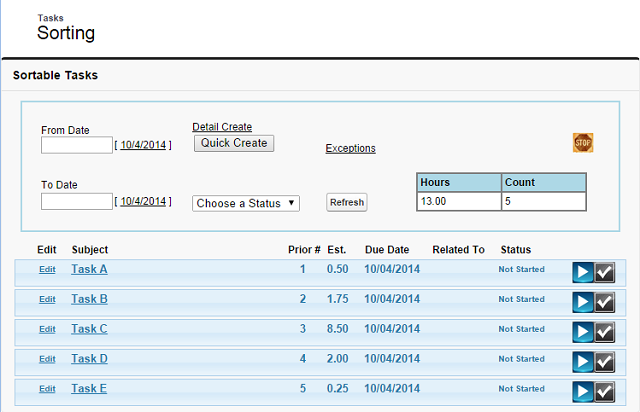 Using this pop-up, the user can quickly edit a task and return to the task portal. 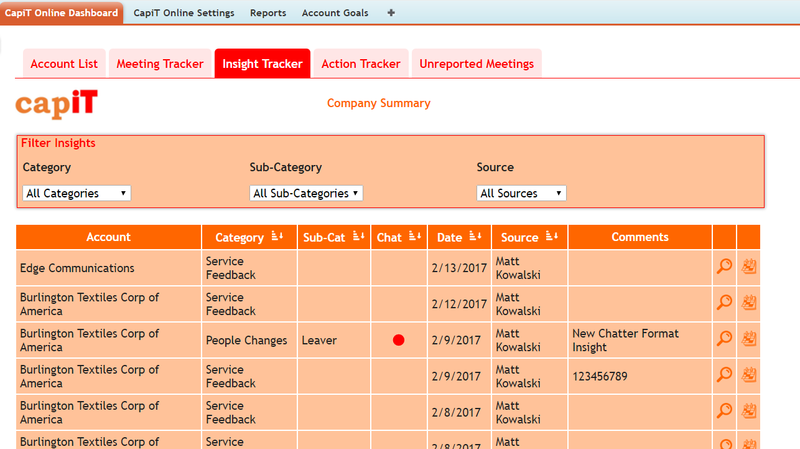 Add custom Visualforce pages to your Salesforce1 app to make your team more productive on the road. 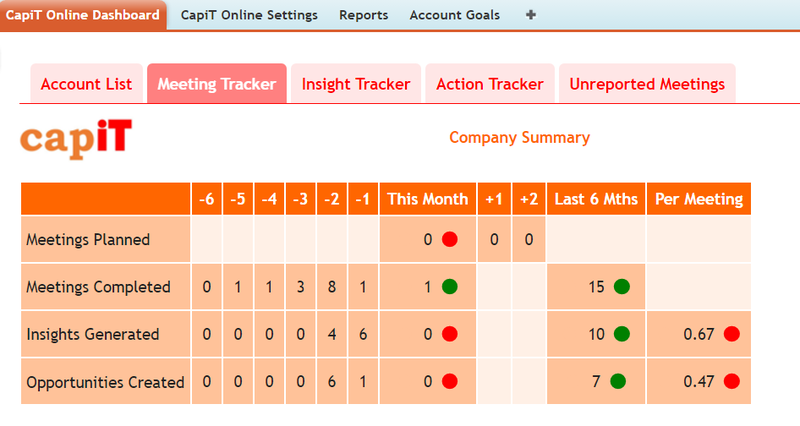 A simple tool to manage your Twitter campaigns within your CRM. Available on the Salesforce.com AppExchange as a managed package. We built a managed package for CapiT Online to help their customers grow using NLP meeting techniques. This was a fun project during which we had the opportunity to create the app from planning to publication on the AppExchange.